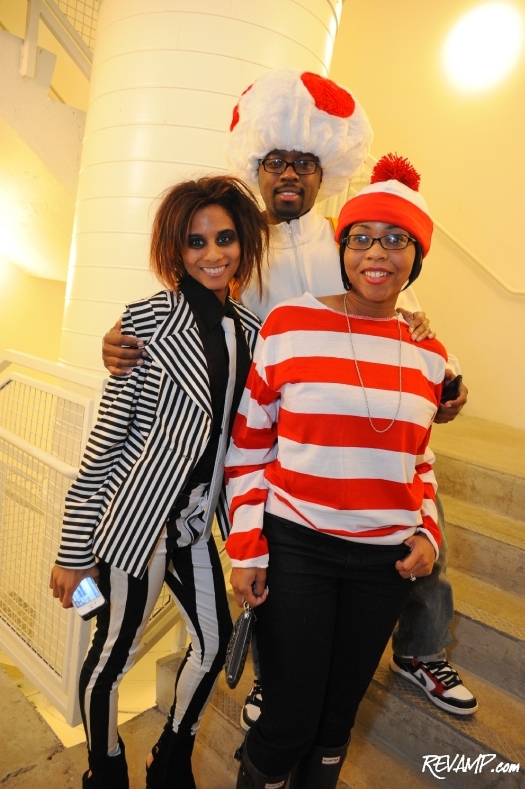 Be sure to check out all 112 of our photographs from this event HERE! 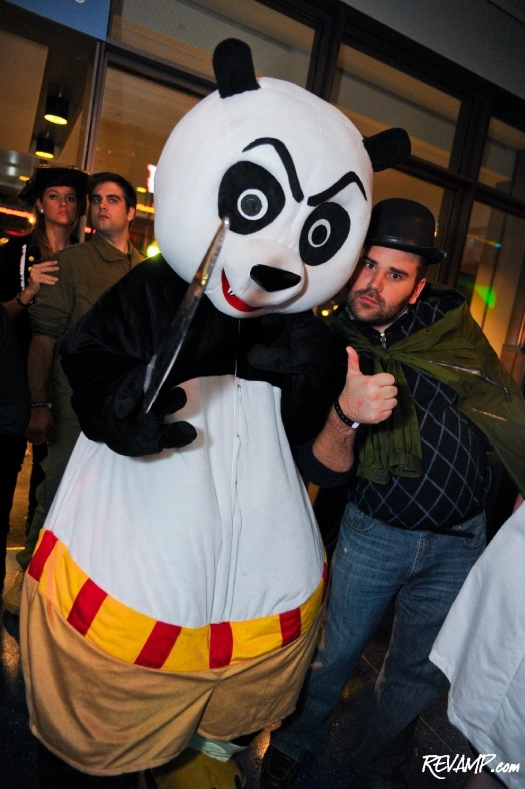 PENN QUARTER -- Clearly, the fourth time was a charm for the refreshingly counterculture team over at BrightestYoungThings, with more than 4,000 fans joining them once again at the Newseum, for a special Halloween outing. 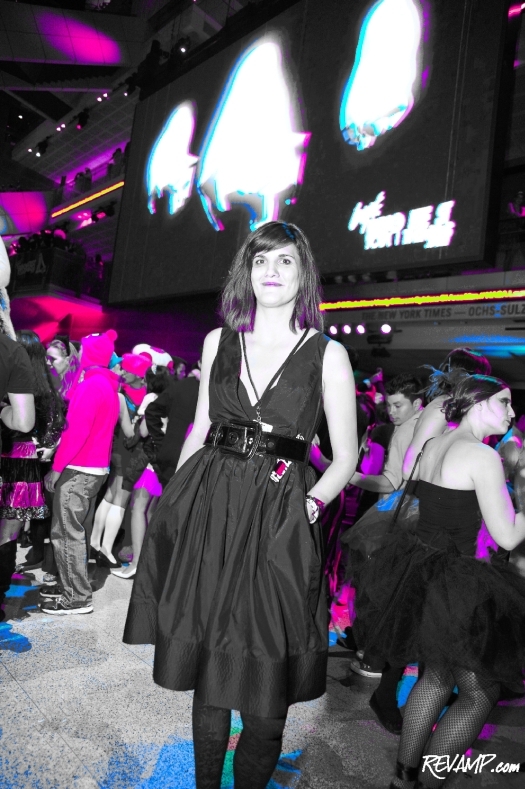 Not content to rest on their laurels by rehashing the successful program from the first three �editions�, Friday�s late night party upped the ante in terms of both eye and ear candy for the revelers lucky enough to score a ticket to the at-capacity event. 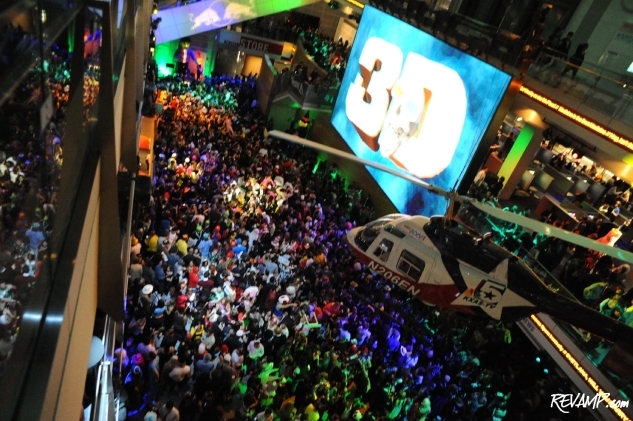 Two dimensional displays were relegated to the past, as the museum�s massive 90-foot LCD (one of the largest in the world) was programmed to spotlight various forms of 3D content, which attendees were then encouraged to observe using a set of complimentary glasses. 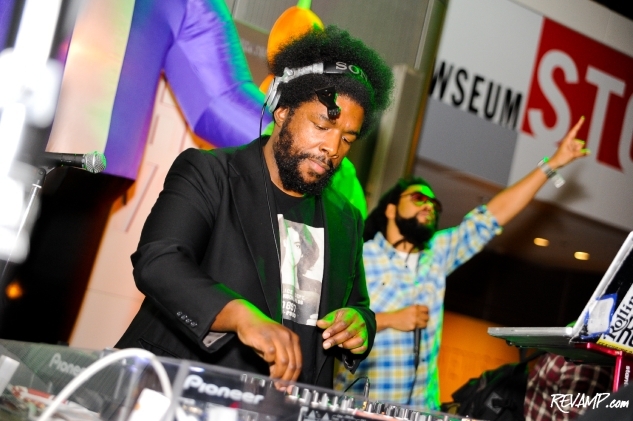 And while DJ Adrian Loving got the crowd enthusiastically energized from the on-set, it was DJ Questlove�s near-midnight appearance that brought down the house, with thousands flocking to the Newseum�s first floor to dance. Traditionally the drummer for Grammy Award-winning hip hop band The Roots, Questlove had no problem applying his signature musical style to a pulsating soundtrack, which blended relatively obscure tracks with popular mainstream hits. While catching their breath between songs, guests could sip or sup on food and beverage menus provided by Wolfgang Catering or try their hands at a surprisingly competitive ping pong tournament sponsored by Joola. Naturally, the Newseum�s full dearth of interactive exhibits and displays were also made available for the costumed reveler in search of a little brain food. Mobile bars were even installed within the elevators themselves providing little excuse for guests not to explore. 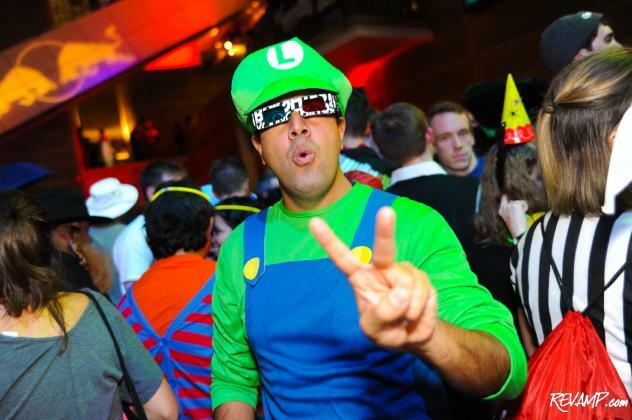 It�s scary to think how BYT will top this one!